I said the other night that the GOP response to the State of the Union sounded progressive-lite. “We heard the president say this should be a year of action and that is our goal. We join the president in this effort to make this a year of action,” GOP Conference Chair Cathy McMorris Rodgers told reporters here. Rushed legislation tends to be bad legislation. And sell-out Republicans seem hell bent on rushing to move the progressives' agenda forward before you can get to the polls in November. Immigration probably tops the list. But I suspect GOP complicity with progressives won't stop there. 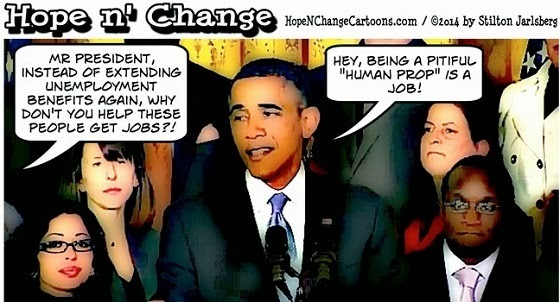 Obama bragged how under his presidency, eight million new jobs have been added. Really? Then why has America seen dependency on food stamps skyrocket by more than 70 percent under his “sound economic policies”? Today, nearly 50 million Americans are on food stamps! This doesn’t even touch upon the increase in other costly government entitlement and dependency programs. But when I do, it's because I think she's said something important. Her latest: "GOP crafts plan to wreck country, lose voters"
Makes sense why the GOP keeps trying to spin conservative guys like Ted Cruz as out of line with mainstream America. While the GOP's busy vilifying guys like Cruz, the party's working to move America so much further left, few can imagine the changes it's trying to put in play. So why is the NRA ignoring the issue? 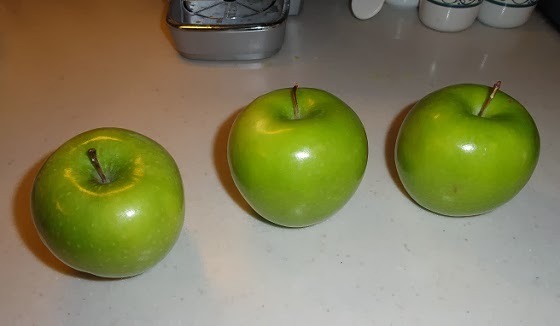 Three Granny Smith apples caught my eye in the fridge. Decided on an old sweet southern side dish for lunching... Fried apples. It's really a simple recipe. 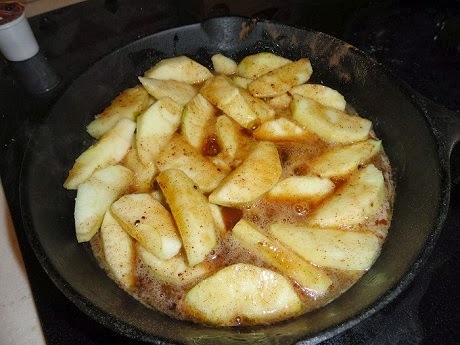 I cored and sliced the apples, then peeled the skins, and dug out an old iron frying pan. Melt a half cup butter in the pan, mix in about a half cup sugar. Stir in about two tablespoons of cinnamon. Add in the apple slices as the concoction bubbles. Cook the apples, occasionally stirring and flipping them, until they start getting soft. I like to eat my apples with a scoop or two of vanilla ice cream plopped on top. Put a little bit of the butter cinnamon sauce as a topping to the ice cream. But ice cream is optional. These simple southern fried apples are plenty good all by themselves. Gun maker Beretta says it will build new research and manufacturing facilities in Gallatin, Tennessee. Jeff Reh, a member of Beretta USA's board, said Tennessee's reputation as a strong supporter of Second Amendment rights played a role in landing the facility, a line that drew applause during today's announcement. Beretta also operates a plant in Maryland, which recently passed stricter gun laws. Actions have consequences. Those states rushing to pass more restrictive gun laws are costing their communities solid, high paying R&D and manufacturing jobs. Gun makers prefer to make guns in states where their products are welcome. Almost 6:00 am here in Atlanta. And thousands of people still haven't made it after setting out for home yesterday afternoon. Kids never got home from some schools yesterday, they sheltered in place. It appears things went spinning out of control as everyone tries to rush home at the last minute. Once you have gridlock, it's hard to treat icy roads. I'd also suggest DOT crews (or whoever else may be responsible) let things get a head of 'em yesterday when it came to preemptive treatment of major thoroughfares. How many cars are sitting without gas this morning, making recovery even more complicated? Do you even dare read about magnetic shift? There's evidence the earth's magnetic field is weakening, and we may be on the verge of a polar shift. 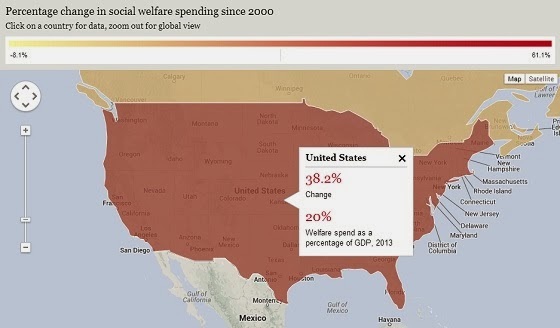 The UK Telegraph has an interactive map that displays levels of social welfare spending in various countries, and how much the spending as grown since 2000. I have a one-word reaction to the USA display: Unsustainable. Nigel Farage's right-wing UK Independence Party (UKIP) has once again rocked the British political establishment by coming first in a recent poll which quizzed Brits on their feelings towards the four main political parties. When politicians and the media insist that American conservative politics must become more moderate to be viable, understand that such talk is designed to preserve a left-leaning status quo. As more Americans awaken to the failures of our progressive politics, I expect we too, like the UK, will see a resurgence in a more traditional American political viewpoint - and perhaps even an upstart political party. Especially if the Republicans leaders continue to reshape and re-brand their party into something akin to Democrat-lite. 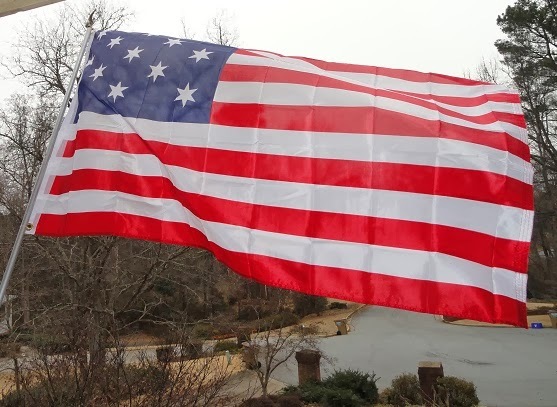 A Georgia senate committee has reportedly approved a resolution calling for a convention of the states to alter the U.S. Constitution. Some are receiving the news with cheers and applause. If lawmakers can't be trusted to respect and defend the Constitution as written, I certainly don't trust them to selectively rewrite it. A convention sanctioned to alter the Constitution is exactly what the progressives want (and need) to complete their radical transformation of America. Don't let them steer us into this trap. Gun-free zones continue to give killers soft targets, venues of opportunity. Go on Leno and blame other for the mess you've made. Unrest spreads in the Ukraine. Angst in the financial markets. Tough week for the U.S. stock markets. Remains to be seen whether current events are a main event, or just a shuffling of the cards. While the Republican voter base increasingly expresses outrage with President Obama's professed fundamental transformation of America, the GOP leadership seems increasingly willing to compromise with the Obama agenda. Mr. Obama's busy trying to soften the blows created by the NSA spying scandal. 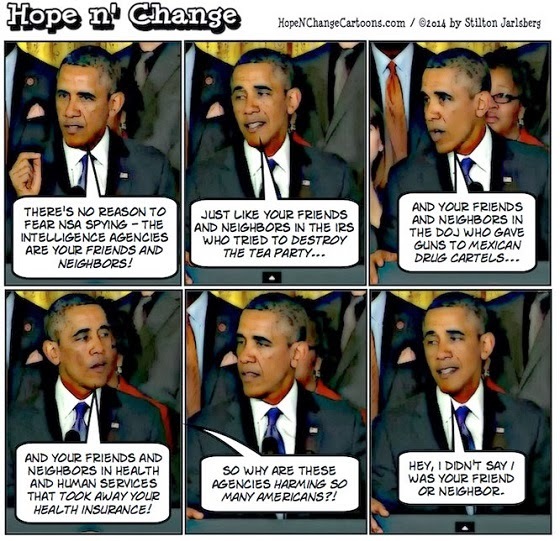 Mr. Obama insists the NSA is made up of our freinds and neighbors. 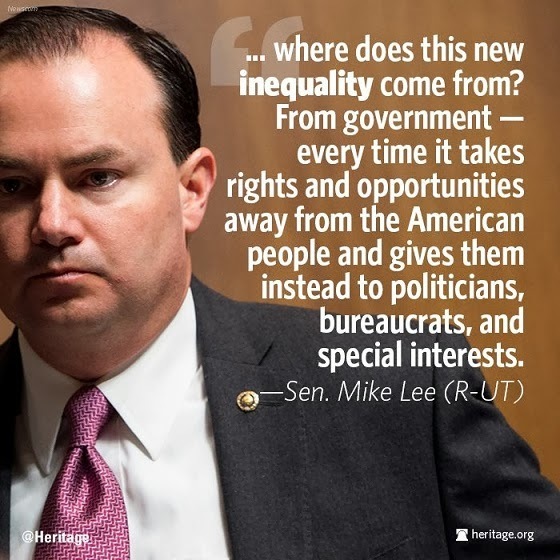 Government is increasingly isolated, operating as if it has no accountability to the people. Did you hear the EPA just snatched a million acres away from Wyoming? 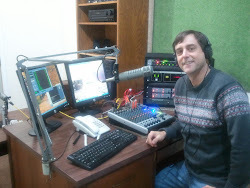 Show begins at 1 o'clock this afternoon (January 24th) on BlogTalk Radio. Click here for the program (and for re-play after the live event). This is the same New Hampshire where eco-fascist lawmakers are push, push, pushing to prematurely shutdown more cost efficient coal plants. I've been saying from the start that the wholesale elimination of coal power plants without sufficient replacement capacity would have a huge down-side. Looks to me like we're getting pretty close to fulfilling my prediction. And don't expect future electricity shortages to be confined to New Hampshire. Here's another article spelling out the danger of over-dependence on natural gas. Two activists were killed in clashes with police in Kiev on Wednesday. Prosecutors confirmed they had died from gunshot wounds. They were the first fatalities since the anti-government protests flared up in late November over Mr Yanukovych's decision to pull out of a landmark treaty with the EU. On one hand, the U.S. Treasury claims the federal deficit dropped by $500 billion in the first quarter of the fiscal year. Meanwhile, at the same time, the same U.S. Treasury says the U.S. will hit the debt ceiling earlier than expected - apparently because the national debt is rising faster than it anticipated. Looks like the U.S. Mint is getting serious about re-writing the recipe for some of our American coins. The U.S. Mint is considering a change to the mix of metals it uses to make quarters, dimes and nickels, a study Congress mandated in 2010 to examine ways to save money. If the materials are altered for the first time in half a century or more, some coins could have new colors and weigh less. Government keeps telling us inflation is nil. But what I pay for stuff tells me otherwise. Is the government prepping new coin options now - in anticipation of a coming inflationary wave that will be undeniable? While it's not as scare as it was, .22 ammo can still be hard to come by. If you have to blame anybody for the shortage of .22 Long Rifle, blame Ben Bernanke and the Federal Reserve or the vastly expanded community Preppers who because of the Fed's actions no longer trust the currency and are trying to put their limited resources where it will retain the most value. When it comes to .22 Long Rifle, ammo makers simply can't make the stuff fast enough to satisfy current demand. It's been almost a year since my friend Don shared his thoughts on the .22 shortage, opining that years of shortages may lie ahead. Sheriff's deputies in Richland County, South Carolina have been busy this week. Carrying out secretive training exercises with undisclosed military units. A sheriff’s department spokesman Sunday declined to say which Ft. Bragg units will be involved. Reporters will not be allowed to “view or participate” in the exercise. It will be noisy at times. Sounds like something ripped from a Matt Bracken or Max Velocity novel. Stop Giving Obama Radicals the Benefit of the Doubt. It's okay to like guns and hate abortions after all, according to the NY governor. If he wants us to believe he's suddenly gone tolerant, Gov. Cuomo can start by repealing his so-called New York Safe Act. I picked it up tonight for a buck and some change. The book is a based on a series of articles that appeared in a Scholastic publication in the early 1960s. 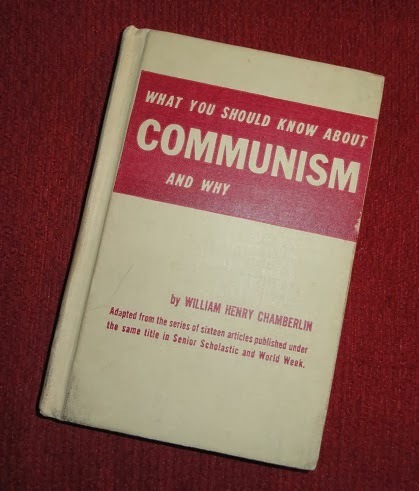 This copy appears to be surplused from an elementary school library, a relic of the Cold War when students at a young age were warned to be on guard against Communism. Last night, around 6 o'clock, I noticed a neighbor had placed a retired water heater by the curb. It was gone two hours later. The "metal men" (or women) are one of my anecdotal benchmarks that tell me economic recovery remains an elusive thing. Gas 50 gallon water heaters can weight around 130 to 175 pounds new. An old tank will fetch ten cents per pound at the recycling center. Apparently the federal Environmental Protection Agency believes it has the power to override Congress and redraw state lines. Late last year, the EPA ruled that the Eastern Shoshone and Northern Arapaho Tribes of the Wind River Indian Reservation have “state status” and can perform air quality monitoring. The tribes also may offer input on projects within 50 miles of the reservation’s borders. This ruling placed Riverton, Kinnear and Pavillion and adjoining areas within the reservation’s boundaries. Other media point out that the EPA has effectively taken the position it has the power to reverse law and legal precedent in place for more than a hundred years. Do you dare deny that federal bureaucracy is out of control? Social conservatives who oppose gay marriage or abortion, or who believe in a Second Amendment favoring the citizenry are no longer welcome in New York. Apparently in Cuomo's mind, only progressive totalitarians should be allowed to hold office. At least one Catholic New Yorker feels people of his faith have been especially singled out by the governor's intolerant, collectivist rant. How many are willing to take the time and effort to truly assess how bad things are? Not many. At best, a handful of folks. Charles Hugh Smith lays it out. Bloomberg's Mayors Against Illegal Guns pulls its membership list from its website. I have to wonder if at least some of the mayors are getting gun-shy about involvement with the group, fearing electoral consequences. Report out of Orrville, Alabama says an armed man was shot dead after entering a Dollar General store waving a gun and threatening to kill everyone. A customer in the store happened to also be armed. A new NBC-Marist Poll shows New Jersey Governor Chris Christie leading a pack of potential Republican presidential contenders. According to the poll, Christie is favored by 16 percent of Republicans and Republican leaning independents. Paul Ryan is next at 12, then Rand Paul at 9 percent. But I have a few beefs with the way the poll was constructed. The poll released by NBC shows it asked an early question about Chris Christie, while asking no stand alone questions about other Republicans. This perhaps sows the seed of Christie bias, acting as a spoiler for the questions to come. The initial Christie question was sandwiched between one about President Obama and quizzing opinion of Hillary Clinton. We also don't know the geographic areas that were polled. We do know, according to NBC's released data, that more Democrats than Republicans were polled here, which is odd for a poll that purposely consists of questions primarily about Republican presidential preferences. The poll seems to assume Hillary Clinton will be the Democrat nominee in 2016, and polls a head-to-head Clinton-Christie match up. The poll does not seek to put any of the other Republicans in a head-to-head match up with Clinton. Nor are respondents asked if they'd like to see a Democrat other than Clinton. Strikes me the pollsters have bias, whether they realize it or not. Report says spending bill includes money to advertise Food Stamps abroad. Sounds like the Fed will continue to whitewash our Potemkin economy for the foreseeable future. Florida man stopped and questioned in Maryland because he owns a gun. Never mind that the gun was left at home, locked in a safe in Tampa. What tipped the cops? Is there a national gun registry we don't know about? Do cops use an ad hoc system that serves the same purpose? The United States government, believing it has the technology to make it possible, is obsessively tightening its grip on its citizens. Happening in many ways, on many levels. America is a vastly different place than it was 20, even just ten, years ago. Bin Laden knew exactly what he was doing. He gave bureaucrats and politicians with totalitarian tendencies an excuse to shove "reforms" on a population that couldn't process what was happening because it was so far outside the norm of what America had been. The New York Times bemoans that it's now too expensive to keep concealed carry firearms out of public buildings in Kansas. Thanks to recently passed legislation, public buildings in Kansas will have to have patron screening or security guards if they want to prohibit otherwise lawfully concealed weapons. It seems, in the mind of the New York Times, people will be safer if guns are banned from public buildings - so that the good folks will leave their's outside. But we know from numerous mass shootings that those planning a mass killing are not deterred by gun free zones. If anything, the gun free distinction is a criteria would-be killers use in choosing their targets. The New York Times also fails to cite a single incident where a legally carried firearm in a Kansas building - public or otherwise - has resulted in injury or damage. The idea of seizing a portion of people's private savings remains on the table for cash-strapped countries. For those not keeping track, the current U.S. government debt is estimated at around $17.3 trillion. And it's going higher every second. Mike Vanderboegh updates on what might happen if you send a gun mag to the governor of a state that's banned 'em. Specific to the gift to Governor Malloy, a previous Sipsey Street post. Here's one of the stories that appeared in the New Haven Register. The president announced the formation of what he calls 'promise zones' in five cities this week. Strikes me, it's another admission how badly his economic policies have failed over the past five years. I see these more in line with being government pumped distraction zones chock full o' community organizers. Places intended to generate some positive headlines while the rest of America muddles through under this president. And I'm not the only one who sees it this way. Don Dickinson and I discussed these promise zones, and other elements of progressive showmanship, on the January 10th Don and Doug program. The program is now available for replay. One more thought. Obama's promise zones sound a lot like the Atlanta Project ex-present Jimmy Carter pushed in the early '90s. I seem to recall the Atlanta Project was only described as moderately successful. And, best I can tell, it's long since been forgotten. Seriously, do they make MSNBC people crack smoke crack before going on the air? "Congress shall make no law respecting an establishment of religion, or prohibiting the free exercise thereof.."
I'm going to vouch for that. In September 2011, we trimmed some oaks. I brought home over a cord of wood from big limbs we downed..
Last year, the stuff was still too green to burn without having a chimney that left our den smelling of smoke afterward. The odor would hang in the chimney, occasionally coming back down to haunt us long after the fire died out. 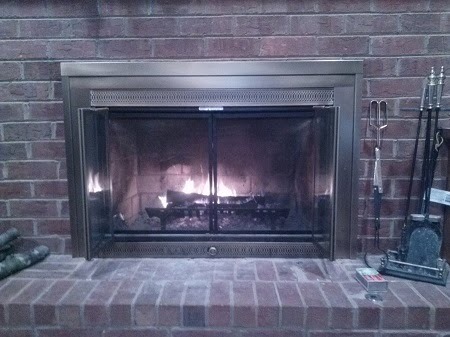 Needless to say,we didn't burn much wood last winter. This week, the polar vortex sent me back to the wood pile. Some of the bigger pieces still put off a pungent smell of smoke when set afire, but those with a diameter under three inches seem to burn fine. No complaints from me. The small diameter stuff should keep us stocked for the balance of this season, leaving the thicker pieces another year to season properly for winter 2014-15. When it comes to firewood, best to plan ahead. Fresh from his four million dollar Hawaiian vacation, Barack Obama's sticking up for the little people. Obama's post-vacation launch into rhetoric of unemployment payments and income inequality tell me a bleak year lies ahead. If economic recovery was coming, O would be touting it. At best, he seems to be expecting a continuation of the bleak status-quo. And his class war rhetoric may even be confirmation the elites in DC see things in the heartland getting worse in 2014. Police in Fort Pierce, Florida pick up a 30 ton, $700,000 MRAP from the feds for two grand. I wonder if the department can name one time in the past decade where they had a real need for such a thing. But, yeah, if you want your local police to look like a military army of occupation, go ahead and get one. Last week on MSNBC, Al Sharpton donned a white lab coat and chose to lecture about the folly of global warming skeptics. Considering the temps outside this week, Al's buffoonery seems even more buffoonish than normal. Truth Revolt puts a deeper chill on this particular Sharpton segment. CFL bulbs are about worthless outdoors when temps single digits. But incandescent bulbs, which work fine in bitter cold, are banned as inefficient. Don found this and passed it along. Lo-info sheeple sign Marx for President petition. Seven degrees outside at 6:00 am. Windchill said to be -10. Don't recall temps like this since moving to the Atlanta area 26 years ago. If it's happened, it's been a long, long time ago. On the bright side, maybe we'll have fewer mosquitoes 'n such next summer. I just wish the cats would understand why I'm not letting them out. They seem to have a touch of cabin fever. I may have to set some aluminum foil on the floors near the doors to deter their attempts to scratch their way out. 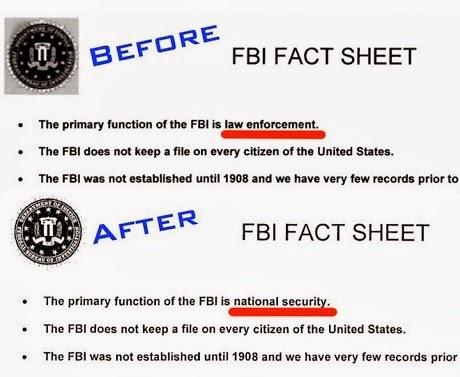 If its mission statement is any indication, the FBI will no longer emphasize targeting law breakers. Looks to me like any of us are fair game for the FBI under its new mission. It may well be the FBI will take on a larger role in investigating targets chosen by the Department of Justice, and then pursued for one reason or another by civil litigation where it's iffy if laws were actually broken. The burden of proof is much lower in civil suits as compared to criminal law. Any big cash settlements coerced from defendants by a plaintiff DOJ will be used for our protection, they'll tell us. Update for January 19th: Looks like FBI has had a change of heart. Someone at DOJ run a focus group on the new mission statement - and realize it bombed? Is it Republican Party suicide we're watching? Or the Republicans joining the push for a national suicide? When the GOP establishment calls for party unity, it means assimilate into the big party structure, or be crushed. Republican bigwigs hope the 2014 elections will be just like the 2010 midterms, except without the great unwashed masses of the Tea Party mucking things up. This time, the Republican establishment is launching a few primary challenges of its own. Sitting atop the target list is Justin Amash, the second-term congressman from Michigan. Dubbed the “most liberal Republican” by Karl Rove, Amash is a favorite of the Club for Growth, Heritage Action, FreedomWorks, and other Tea Party groups. But GOP moderates hope Gerald Ford’s former district isn’t an ideal base for the most influential Ron Paul Republican outside of libertarianism’s first family. Sorry, Mr.Rove. Trying to stamp out Republicans because their values are more conservative or lean more libertarian than your own will not recapture the spirit of 2010. But Rove's not alone in his efforts to fracture the party and drive off the conservative base. Others in party leadership may be even worse in pushing the Republican Party into irrelevance. Ever check out Wild Bill for America? Boehner's on record attacking conservative political interest groups. He says they're ridiculous when they go against his big party politics. I won't call Boehner ridiculous. I call him a menace and a danger to America's constitutional roots and traditional ideals. Not so much by what he says, but by his actions that allow the Democrats' progressive remake of America to move forward. Assess John Boehner by where his leadership is taking us, not by where he says it is. Boehner and Rove won't recreate the miracle surge of 2010. If anything, they'll prevent a repeat in 2014 unless they cease their push of division, and restore a right-thinking direction. James Lewis at American Thinker says that the New York Times as gone "full Pravda" on us. Forget what the mushy and muddling Republican leadership keeps telling you. For years, I've said if Republicans are going to start winning elections again, and turn the tide against the Democrats' remake of America, Republicans need fanatics, not moderates. There's a piece of analytical research out of Rensselear Polytechnic Institute from 2011 that jives with my theory: Social Consensus Through the Influence of Committed Minorities. The study suggests a committed 10 percent minority has the power to sway an entire population if unwavering determination is shown by the core advocacy group. The study is briefly discussed in this 2011 post at Freakonomics. Think about it. Since 2006, Democrats have embraced their party's most radical elements - and the energy translates into a winning Democratic Party. Similarly, in 2010, when conservatives were fired up in opposition to the passage of Obamacare, an fanatical grassroots powered the GOP to victory in the House of Representatives, and in state legislatures across the country. By 2012, the GOP's more moderate forces re-exerted their influence, and there's no such thing as a fanatical moderate. So the more radical, committed Dems pushed voters to deliver a second term to Barack Obama. As it stands right now, Republican leaders appear eager to repeat the mistakes of 2008 and 2012 again in 2014. Conservatives have between now and the primaries to flaunt their fanaticism - and save the party from another compromising debacle. Note: Don Dickinson brought the Renssalear study to the table on today's Don and Doug program. If I recall, our discussion starts about 25 minutes into the program (available here). Two teens in burkas flee after gun-store owner fires a single shot. Who is Joe Galiano? 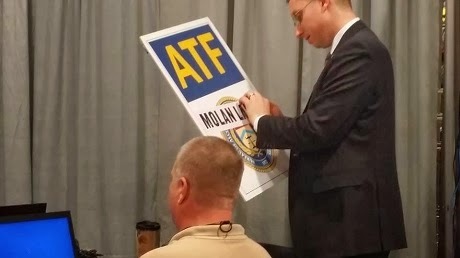 He's the owner of Suburban Armory, the gun shop on MacDade Boulevard in Collingdale Borough, Delaware County. He is surrounded by guns, including the one on his hip. Like his .45-caliber pistol. Can't miss it. Despite this fact, police say two teenagers dressed in burkas walked into his store this afternoon, pulled a gun on Galiano and tried to stick him up. Galiano, less than thrilled about having a man in female Muslim garb pointing a silver handgun at him inside his own store, decided not to comply, but instead to make use of his own gun. Two teen suspects were arrested not far from the would-be holdup site. Discared burkas also recovered. The article doesn't say it if the suspects are Muslim. What are the chances their attire put the owner on alert as soon as they came through the door? Mike Bloomberg may be out as New York mayor. But that just means he has more time to deploy his money and influence into his anti-gun efforts. David Codrea sounds alarm over a re-surging Bloomberg threat. So does Mike Vanderboegh at Sipsey Street. Local troubles continue for the Republican Party on John Boehner's home turf. Bridgewater Falls Station LLC sued the political party for $39,704.31 Dec. 18 in Butler County Common Pleas Court, saying the local GOP broke its lease. Dave Kern, who resigned as executive chairman of the GOP a day before the suit was filed, has said he moved the office to a member’s trucking company to save money. I have to wonder how many other local Republican branches are in financial trouble. And how many are in that trouble because conservatives no longer financially support a political party where they're not wanted and they can't trust. Magpul announces relocation to Wyoming and Texas as the gun mag maker flees mag-banning Colorado. Looks like AARP's website finally chimes in on the Knockout Game - those violent sucker punch attacks that frequently target senior citizens. It involves knocking out an unsuspecting victim with a single punch. Some news organizations have reported that the “game,” in which people of color, often older, are randomly attacked by young “players,” has become an epidemic. Others, while acknowledging that the game exists, brand the so-called trend an urban legend. Wait a minute. People of color are randomly attacked, says the AARP post? Yes, a white guy in Texas as been charged with a knockout attack on an elderly African American. If media routinely reported the race of an attacker or victim, it would also be evident that there's a long record of these attacks being perpetrated by people of color with victims being of other races. Lee County, Florida had two incidents in November. New York and Philadelphia have had a series of such attacks. Bugs me AARP distorts the picture. Tightens its reporting to highlight one group of victims. Actually AARP showcases just one victim, an atypical one. Elderly people are often more vulnerable. Will AARP's distorted reporting lead some potential targets to lessen their guard against such attacks - when calls for more vigilance seem more appropriate? New York Daily News headline proclaims: "A federal judge sides with the state on its sound, sane new laws"
The Daily News displays enough statist bias to make a Stalinite blush.